That is the most accurate analysis in the whole article. This mess and the pain that goes with it is the reason that SMMS exists. And there is evidence that brands are adopting SMMS to help them bring order and consistency to social even as they seek to proliferate its use. Just this week, Whole Foods shared their challenges and approach to social media proliferation with David Carr at InformationWeek. 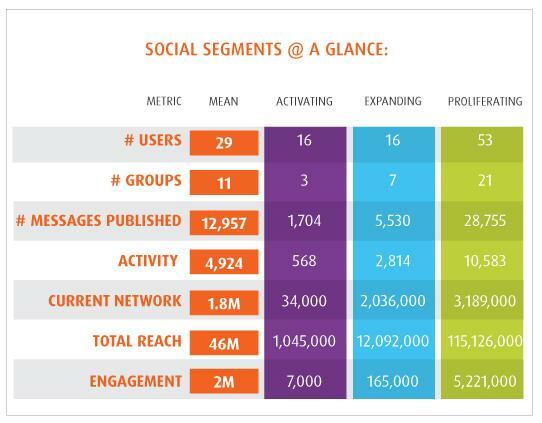 We just released a new report, the Social Engagement Index Benchmark Report for Q2 2012, that provides a glimpse into the internal and external complexity brands are managing through an SMMS. This report is based on the social activity of 154 customers (about 40% big brands). It is free to download and full of SMMS stats and insights. If you are setting out to find the most widely used SMMS, you cannot just look at a single Twitter account - even if it is the most followed account for that brand. Our report showed that brands manage an average of 51 accounts across social networks, 15 of which are on Twitter. Consider also, that the top brands have between 10x and 1000x more fans (Facebook) than followers (Twitter). And according to our index, the level of engagement on Facebook is 20x greater on average than Twitter. So, while important, Twitter is just part of the picture. TweetDeck is not a SMMS. Neither is StockTwits. They are twitter tools "“ and ones that are being rapidly replaced at big brands specifically because they are not a SMMS. They provide none of the governance, workflow, multi-network support that define the SMMS space beyond basic Twitter publishing. SocialEngage (formerly CoTweet) also suffers from its roots as a Twitter tool, but at least they make it into the conventional list of SMMS. So, if you want to identify the most used SMMS, you are going to have to do a more detailed study. You have to look across networks, across brands and geographies and you have to track the trend of adoption of specific SMMS across all social properties for a given brand. And you have to recognize that every brand is on an active journey to excel at social communication. There is, of course, a whole lot more detail in our report. Feel free to download it, but I will give you one other stat to think about: even within our customers that have adopted Spredfast as an SMMS, still only 25% of publishing happens directly through our platform. That is the reality of this space "“ brands are just getting started on standardizing their social publishing. To their credit, Pingdom acknowledges this point in one of their final observations. The result of the report is, well, a bit of a mess.